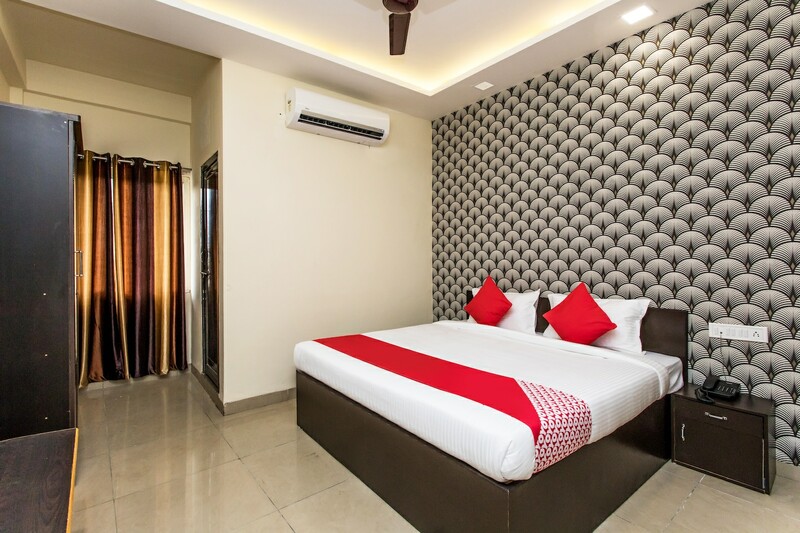 With bright and beautiful interiors, JMC Blue Inn helps you in having an amazing stay in Indore. The reception gives you a warm and hearty welcome with glossy woodwork across the reception desk and regal wallpaper. The rooms are splendidly beautiful and awe-inspiring with bright, modernistic and majestic wallpapers. These rooms are fully furnished with all essential amenities that are convenient and well-suited to all guests. They are immaculate, spacious and luminous. The bathrooms are also neat and clean and well-equipped along with a geyser for chilly weather. The hotel also features many other facilities like parking facility, free Wi-Fi, CCTV cameras, dining area and an in-house restaurant.